Villas «Anemos» και «Thymari» are situated near the south coast of Rethymno prefecture, a 5 km distance from the well known resort town of Plakias. 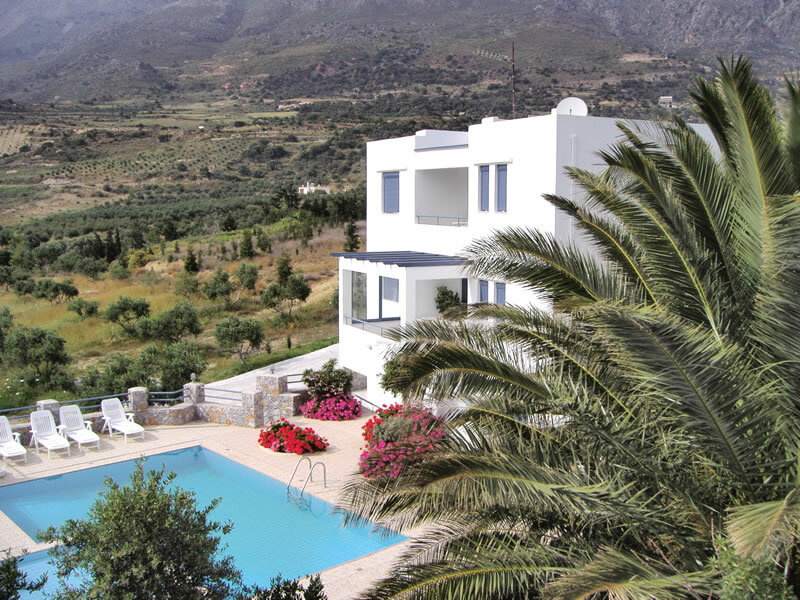 The villas are built in a farmstead 5000 m2, 800 m. north of the traditional village of Lefkogeia, on a raised position with a unique view to the surrounding mountains, the valley with the olive trees and the beach of Plakias. They are independent, completely autonomous and surrounded by stone walls with iron railings. Each villa has a different entrance, its own private 50m2 swimming pool (including children’s pool), gardens with trees, bushes, flowers and lawn, parking space, barbecue, and yards paved in stone. The amenities on offer in each villa include spacious verandas with breathtaking view, satellite TV, stereo system, Wi-Fi connection, A/C, fully equipped kitchen and dining area, and a cosy, elegantly furnished sitting room with a fireplace. The exquisite location with wonderful surroundings, the many choices of excellent beaches at such a close distance, the opportunities for hiking and exploring and their high quality make the villas «Anemos» and «Thymari» ideal for your vacation.